A woodworker client includes our Oak Leaf Tile in his beautifully handmade coat rack design. 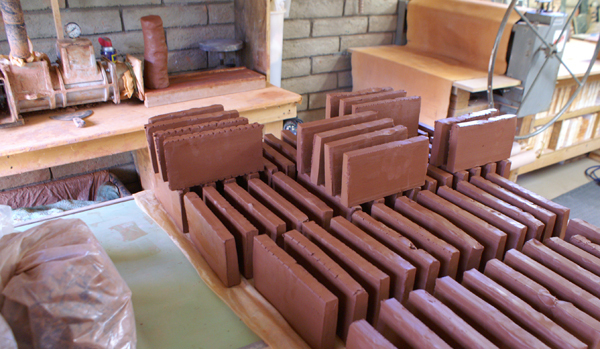 The blanks are stacked in preparation for pressing out tiles. 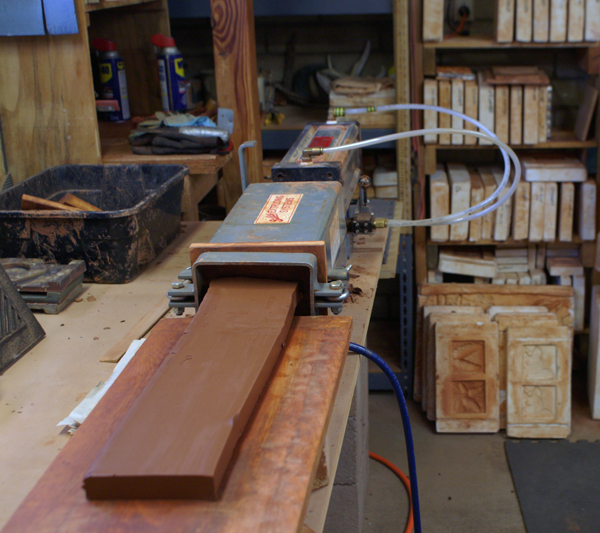 The extruded blanks are cut to size and set on edge to prepare for pressing. 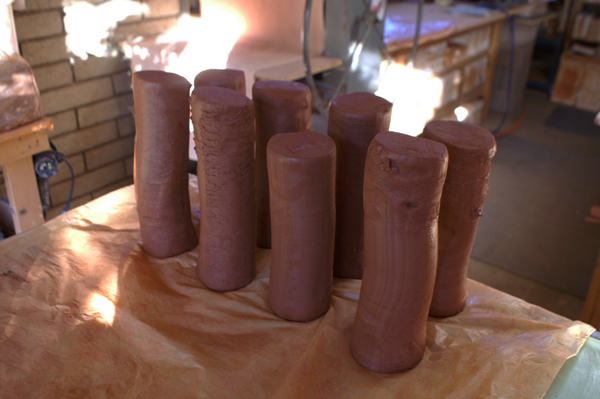 The cylinders of reclaimed clay are now ready for the extrusion process. 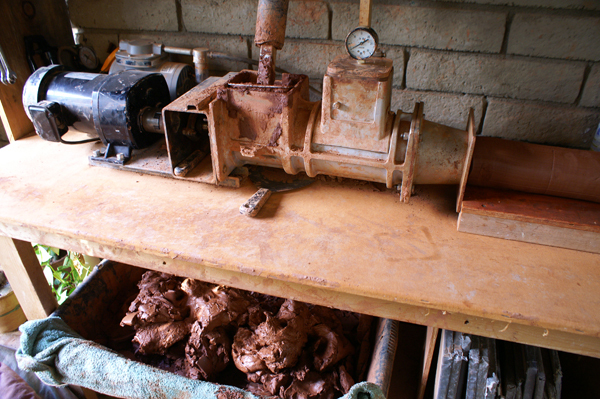 a Pug Mill producing an extruded cylinder of fresh clay.